Compatible with Mi Home App. 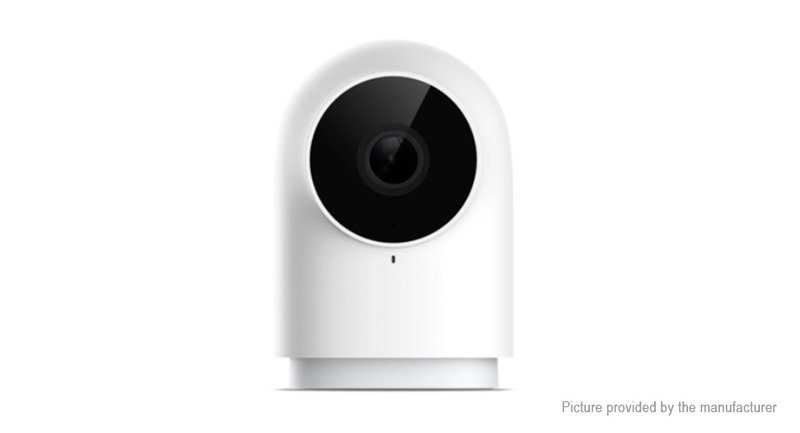 The Aqara smart camera G2 isn’t just a smart camera but also a smart home gateway based on Zigbee 3.0. The Aqara smart camera G2 camera is supplemented by eight 940nm infrared lights providing visibility at night for up to a distance of 8m, so the camera will be able to recognize pets, so as not to create false alarms. One click video messages, Send your love anytime: Long press the camera function button for 3 seconds to record and send a 15 second video message to your family; making it easier to communicate and be there for your family. Timed recording to help record the good times: Automatically records the sunrise and sunset for you with no worries. Recording the wonderful moments in life for you and your family. Edit a day into a short video so you can relive the beautiful moments.